Concern that cannabis stocks will not be able to weather the storm if markets head for a protracted slump is setting in as shares of major players remain under pressure, according to one asset manager. Barry Schwartz, chief investment officer at Toronto-based Baskin Wealth Management, expects the backdrop of recent broader market declines has investors reevaluating the risk of owning a piece of the much-hyped cannabis sector. Baskin has over $1.1 billion in assets under management. The S&P/TSX Composite and the S&P 500 have fallen about five per cent since Canada legalized recreational marijuana on Oct. 17. Major North American equity markets showed cautious signs of optimism on Tuesday, after U.S. President Donald Trump spoke about a potential for “great deal” with China that would avert a major trade war. Meanwhile, the Horizons Marijuana Life Sciences Index ETF (HMMJ.TO), the largest cannabis ETF, has declined 33 per cent since its recent peak in the weeks ahead of legalization. 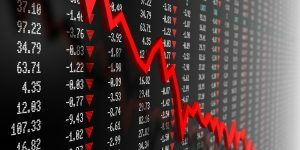 The plunge from recent highs has been even steeper for Canopy Growth Corp. (WEED.TO), down nearly 40 per cent, and Aurora Cannabis Inc. (ACB.TO), down 47 per cent since Oct. 15, as of midday Tuesday. He notes the excitement over cannabis stocks is unsurprising, given the lack-lustre performance of Canada’s benchmark index. “If you look at the TSX cumulative over an almost two-year period, it’s down,” Schwartz said, adding that even major U.S. companies with solid earnings have not been rewarded by the market.